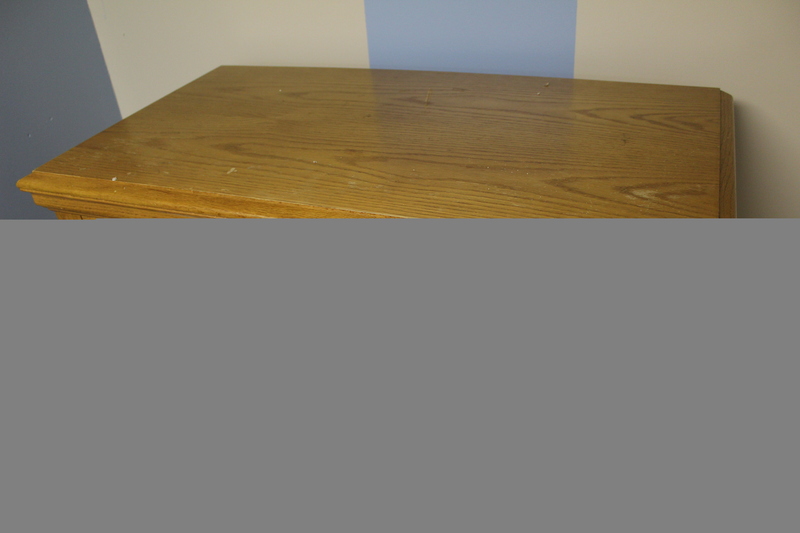 Some of the cocaine seized during the June 2017 takedown of the West Virginia drug distribution ring directed by Velarian Carter was hidden inside this dresser. A West Virginia man already serving a 20-year drug sentence will now spend even longer in prison. Velarian Carter was sentenced in July to an additional 20 years for orchestrating a drug conspiracy while he was behind bars. Investigators say he was at the center of a drug conspiracy flooding the state’s Raleigh County and nearby areas with illegal drugs, including cocaine, crack, and heroin. FBI Pittsburgh Special Agent Jennifer King is no stranger to Carter’s activities—she was part of the team that initially investigated Carter in 2016, uncovering his conspiracy to transport methamphetamine from California to West Virginia. For those crimes, he was arrested in March 2016, pleaded guilty in July 2016, and sentenced in February 2017 to his original 20-year term. Carter’s Mexican cartel contact in California was also charged and is serving time in prison. For months the FBI monitored Carter’s calls and figured out what the coded conversations meant. Investigators were eventually able to get a number of court-authorized electronic surveillance orders on various communication devices and members of Carter’s network. The FBI used informants, found cooperating witnesses, and conducted undercover operations and physical surveillance, but it needed electronic surveillance to fully dismantle Carter’s criminal network. The investigation ultimately resulted in a mountain of evidence and a June 2017 indictment, which led to the takedown of Carter’s criminal organization after the execution of 23 federal arrest warrants and about a dozen search warrants. In one of those searches alone, law enforcement seized more than $70,000 in cash, jewelry, a car, and real estate. They also found more than 700 grams of a mixture containing heroin and fentanyl, a quantity of cocaine, a kilo press, and firearms. In December 2017, Carter pleaded guilty to conspiracy to distribute more than five kilograms of cocaine, more than 280 grams of cocaine base, and more than one kilogram of heroin. King said that Carter admitted to directing other participants outside the jail to cook cocaine into crack and to distribute controlled substances in and around Raleigh County. “He also admitted to, in some instances, directing what prices should be charged for the drugs and how the money collected through the sale of the drugs should be distributed,” she added. Carter’s co-conspirators have pleaded guilty and are in various stages of the sentencing process. 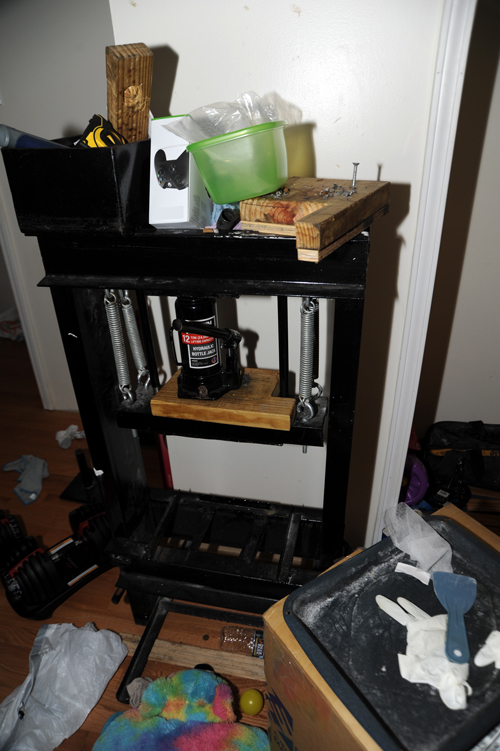 This kilo press used for cocaine was seized by law enforcement during the June 2017 takedown.